At Illamasqua, our core values lie in our support of tolerance and celebration of individualism and personal identity. 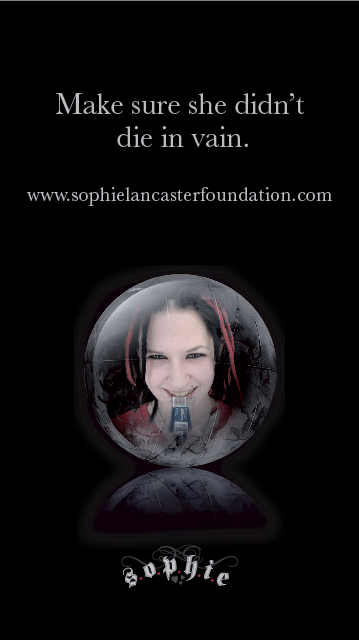 We are also proud to support the Sophie Lancaster Foundation – Stamp Out Prejudice, Hatred and Intolerance Everywhere. 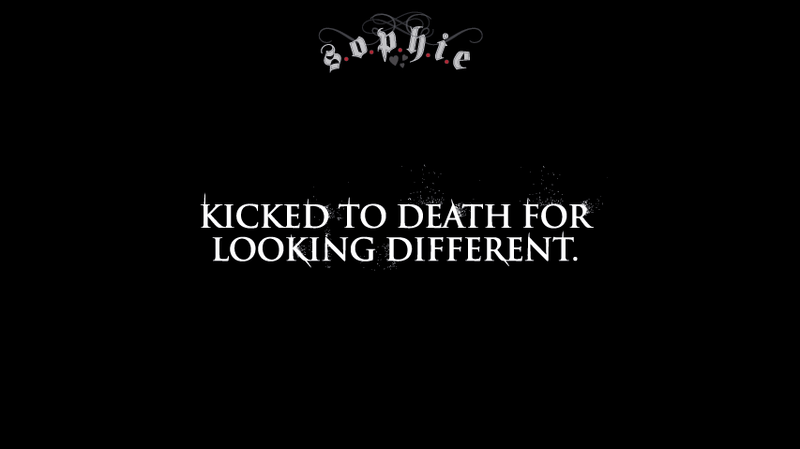 In August 2007, Sophie Lancaster was kicked to death, simply for dressing differently. Two years on, and in tribute to the outgoing, bubbly girl who was denied the chance to live life her way, we have commissioned a short film by award-winning French director, Fursy Teyssier. 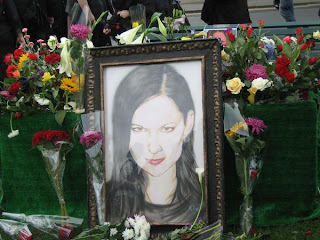 Produced by creative agency Propaganda, in association with iconic British band, Portishead [who very kindly donated the title track], Dark Angel is a beautifully haunting rendition of Sophies story. This video has been released today on Youtube as today would have been Sophie Lancaster’s 23rd Birthday. The aim of the film is to raise awareness of The Sophie Lancaster Foundation and generate £500,000 to help educate young people about tolerance. 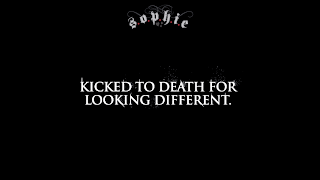 Since Sophie’s death, we’ve been working with behavioral experts Huthwaite International, to put together an interactive youth workshop that does just that. But this essential education programme can only be delivered with your help. Please, please show your support watch the film and make a donation. We’re hoping to reach over 1,000,000 hits, so forward the link and help us spread the message. If you have your own website, blog, Facebook, MySpace or You Tube page, or a Twitter profile, please display a link to the film. As well as the YouTube video and plenty of coverage on the BBC, GMTV, local newspapers etc, the short film will be getting an international premiere today, Thursday November 26th on MTV Europe – during an ad break of The Hills at 9:15pm UK time – everyone tune in! I haven’t actually been able to watch this video without bursting in to tears yet so if you manage to stay dry eyed, please tell me how! Stand up for Sophie act now and buy an Illamasqua Sophie pencil, wristband or make a donation – £3 from every sale of the Sophie pencil will go straight to the charity. Pixiwoo have also created a lovely tutorial video in memory of Sophie.